A Reddit user has posted an alleged photo of Samsung's Galaxy S3 on Reddit about 3 hours ago before this blog post was published. He/she says that their friend works for Samsung, "in a respectable position" and has sent them a photo of the next phone in Samsung's high-end Galaxy S series. It will possibly have two optional launchers: Android Ice Cream Sandwich with Samsung's TouchWiz overlay and vanilla Android ICS. If they do include such an option, you will have the option to pick one at startup and change later. 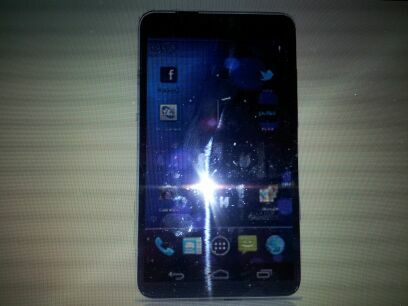 It has a 4.7" AMOLED Plus HD screen. There's no bump anywhere on the body. The phone is 8mm thick. It has a quad-core (finally) Samsung Exynos 4412 processor and 2 GB of RAM. It will have a 12 MP camera with flash. There is no pricing detail or any release date currently and Samsung is very quiet about it.